Taste the elegant passion of the grapes growing in this heavenly valley. Inducing deep breathing and even deeper relaxation. Sumaridge Wines – the deeper meaning of beauty. Sumaridge Wines from the Sumaridge Estate in the Hemel and Aarde Valley are worthy of a trip and the estate is on of those gems that you do not want to zoom past without turning in, tasting and marveling at the beautiful setting. It immediately induces deep breathing and even deeper relaxation. I Love this place! 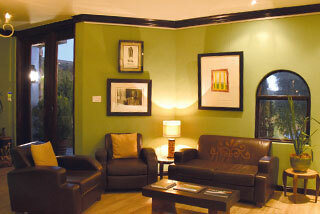 The vibe is elegant yet relaxed and the wine is very serious about passionately impressing your taste-buds! Situated -34° 22′ 1.416″ , 19° 15′ 19.116″ Sumaridge Wine Estate is located in the South African Wine of Origin ward of the Upper Hemel-en-Aarde Valley, which is located approximately 135 kilometers South East from Cape Town on the Cape South Coast. 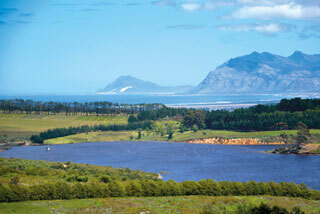 The Hemel en Aarde valley – where you will find Sumaridge Estate Wines Hemel & Aarde Valley – is often referred to as “Little Burgundy” because of the valley’s reputation for producing world class Cool Climate Chardonnay and Pinot Noir. The cellar was designed bearing this is mind and pays homage to the great wine houses in the Côte de Beaune. We are delighted to welcome guests, young and old, to our tasting room and dining room, with its wonderful views across the Debos dam, through Onrus to beyond Betty’s Bay, as the crow flies some 28 kilometres away and on a clear day beyond to Cape Point, some 75 kilometres away. 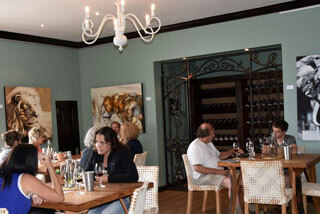 Please click here to see some of the Award Winning wines at Sumaridge. The Dining Room at Sumaridge is open from Tuesday through Sunday from 12 noon until 2.00pm. 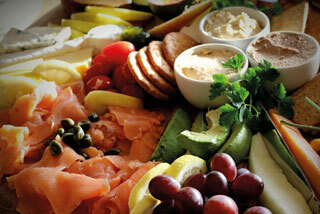 We offer generous lunch platters, which can be paired with Sumaridge’s award winning wines. 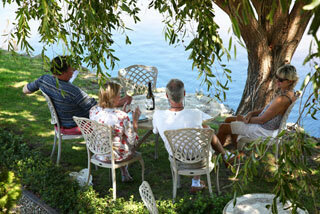 You can choose to enjoy your platters either in the Dining Room or in our wonderful gardens beside the dam. We also offer a “little guests” menu and high chairs are available. The beauty of the valley, the Estate and the cellar lend themselves to making Sumaridge a unique venue to entertain friends, family, clients and colleagues. 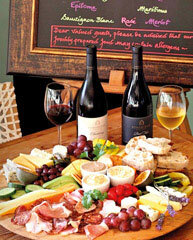 Please click here to read more about special and / or private functions at Sumaridge. Jesse Clegg at Sumaridge – Video by Adam Spires. #Win a bottle of Wayfarer 2015 Metode Cap Clasique! 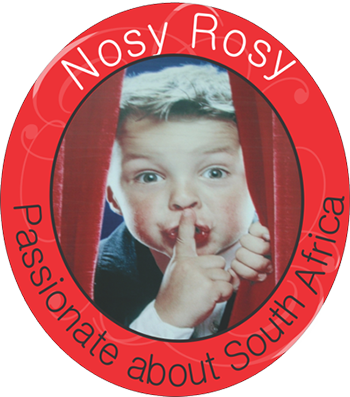 Follow Sumaridge and Nosy Rosy on all Social forums you participate in, send me an e-mail with the subject: “Please subscribe me and I really want to win my own bottle of Sumaridge Wayfarer MCC” and tell me which forums you followed us on.